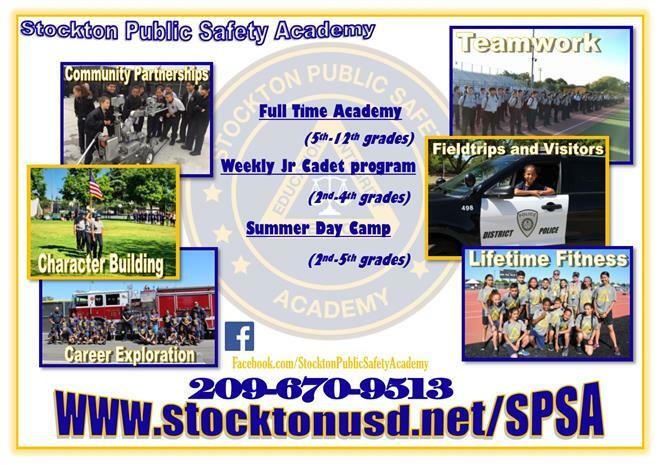 The mission of the Stockton Public Safety Academy is to cultivate self-disciplined and forward-thinking cadets, with an emphasis on the Public Safety Field, through a process of rigorous academics, character and leadership development, fitness improvement, and realistic hands on preparation so that each cadet is college and career ready. 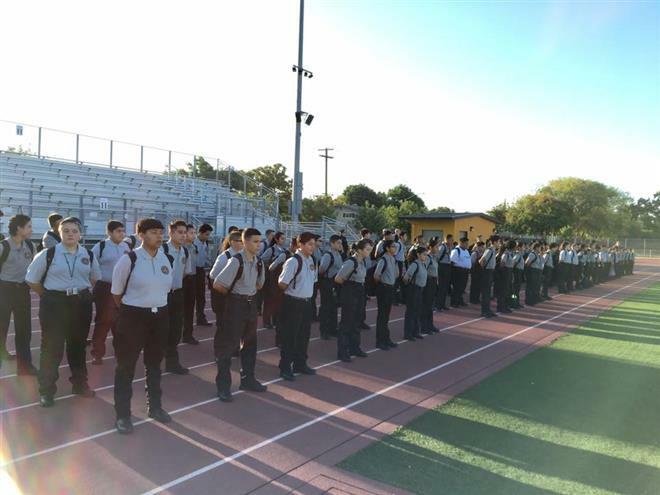 The Public Safety Pathway prepares high school students for work in entry-level positions in public safety and provides foundational education for students who wish to pursue security professional training at the post-secondary level. 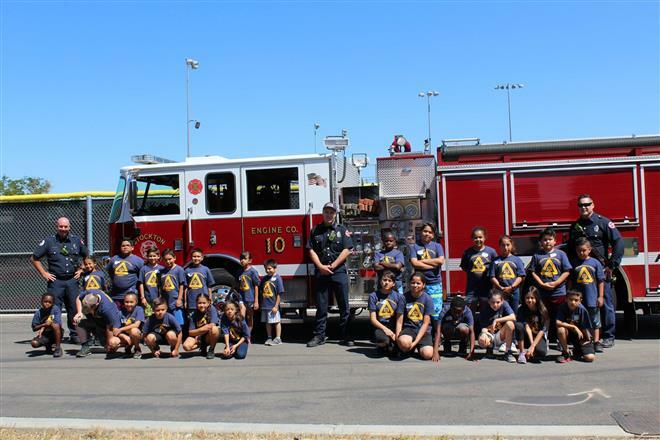 Students gain experience through project-based, hands-on training, and mentoring from industry and community partner organizations. The evolving integration of state Public Safety organizations with federal intelligence and security agencies, communication and data systems interoperability, coordination of effort, and the shared mission to protect the public post 9/11 are areas of emphasis for the pathway. 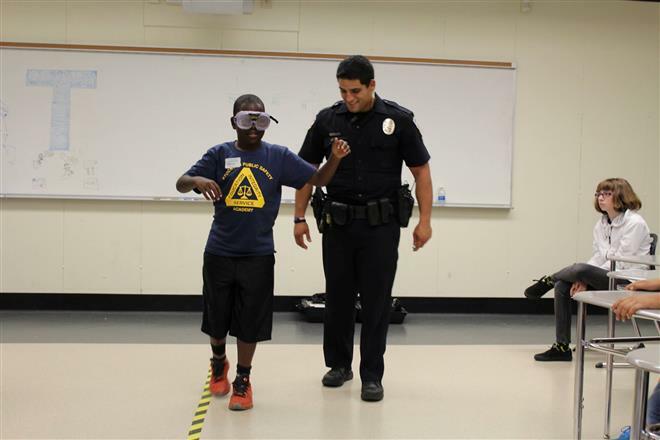 The careers included in this pathway primarily address law enforcement services, emergency preparedness professionals, homeland and cyber security services, correctional services.